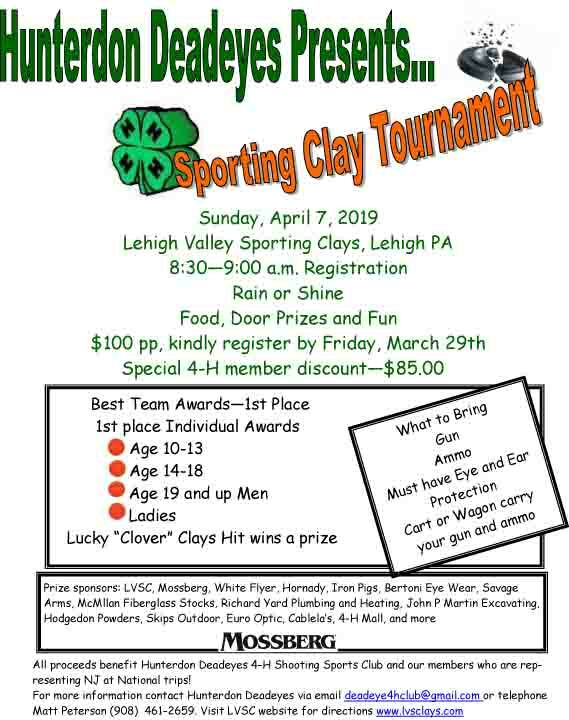 The Hunterdon Deadeyes, a 4-H Youth Shooting Sports Club is holding it's annual sporting clays fundraiser at Lehigh Valley Sporting Clays this year on Sunday, April 7th, 2019. 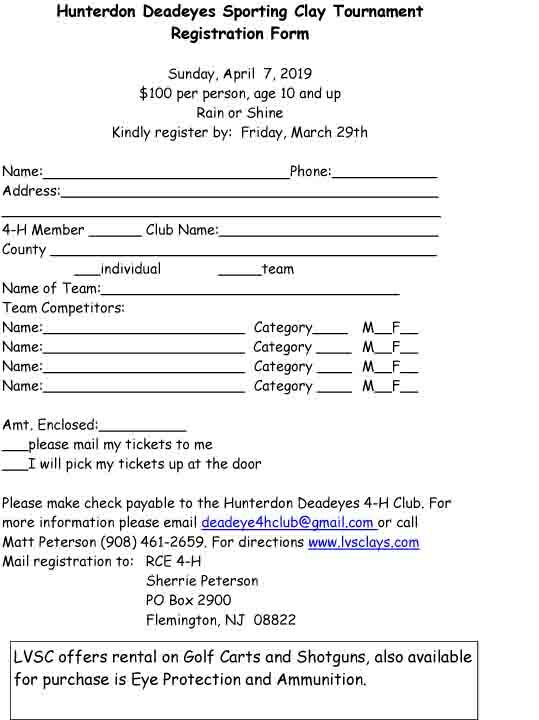 The purpose of the fundraiser is to help cover the costs to send our kids who qualified through 4-H State level matches out to Grand Island, Nebraska in June to compete in 4-H National matches. Nationals is a great experience for these kids, and this is our clubs biggest fundraiser. This is a great excuse to come out and have some fun shooting with your friends and breaking some clays at a first class facility and it benefits kids. It doesn't get much better! I just wanted to mention that walk-ins are always welcome on the day of the shoot, and the weather for Sunday is looking pretty good so far!